When I was a young teenager, my uncle used to get me a subscription to Sports Illustrated every Christmas. For the record, I have no complaints. It was a great gift. 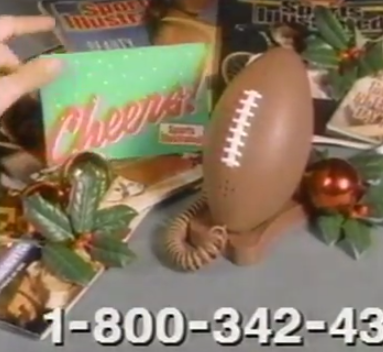 But, year after year I kept hoping the football phone would show up in my mailbox as well. Sadly, it never did. I wondered, was he keeping them all? Did he secretly have football phones stashed throughout his house?